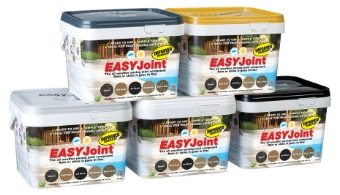 We stock or have access to a wide range of jointing compounds that cater for every need. 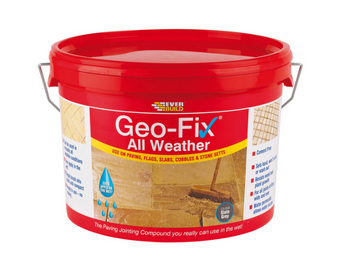 Can be used in virtually all weather conditions. Even apply in the wet. Simply bursh into joints and compact. Ready to use - no mixing. Sets hard - won't crack or wash out. Resists weed and plant growth. For all joints of 6mm wide and over. Available in 2 colours - Natural Stone & Slate Grey. 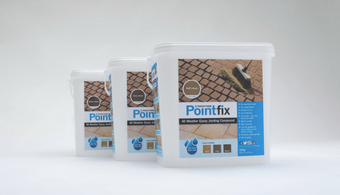 Pointfix is a superior two pack multi-use jointing and repair compound. One pack contains epoxy resin within the compound and the other epoxy hardener. Once throughly mixed the jointing compound cures to create a permanent hard jointing material.